Paul's Best Lawn service is a locally based, family-owned full service grounds maintenance company started by Paul Lo Monaco in 1978. Paul has earned a solid reputation over the past three decades of providing superior service on his exceptional quality of work. Although he has built his business completely on word of mouth and has never advertised, it is rated highly with the Better Business Bureau, Checkbook and Angie's List. 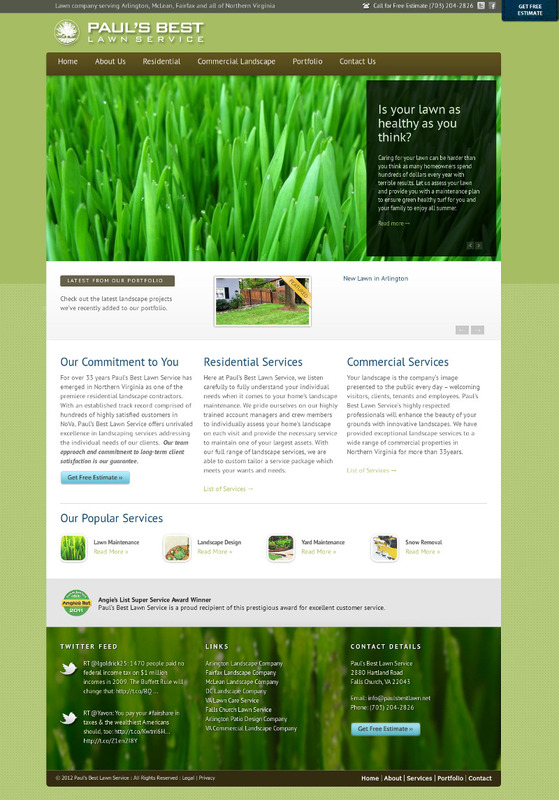 Paul's Best Lawn Service has grown to service northern Virginia and his landscaping company have extended the range of his services to include Annandale and Vienna as well.